SARASOTA, FLORIDA, January 23, 2019 – It’s never been so easy to engage the real estate market these days, given the new smart technologies now available both to prospective sellers and buyers of Sarasota homes for sale. The time-consuming exercise of buyers visiting each of their candidate property, for instance, can now be happily avoided. This thanks to easily available online tools such as Google Street View, which since its launch in 2007, has continued to adopt more and more enhancements. With this facility, you can now browse high-resolution images of the area surrounding your home-buying prospects. You can even measure the distances of the properties’ locations to/from the local points of interest or amenities available. Even more convenient, you can now do your home-buying searches anytime, anywhere with a smartphone. Yes, that’s right. You don’t need a PC or laptop for online searches of Sarasota homes for sale. What’s even more, smartphone technology now allows you to access virtual tours of homes for sale. These newly developed home tours, moreover, go way beyond similar productions previously available online, which are essentially just some glorified slide presentations. 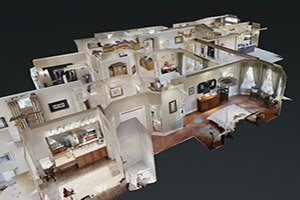 Realtors and buyers alike are now raving about extensive 3-D home tours (called matterport) that enable viewers to capture a good perspective on the flow of space within a residence, its rooms, and their dimensions. CLICK HERE, for an example of one we’ve done recently. In enhancing the technology to further ease home-buying searches, app designers have tapped artificial intelligence to increase exponentially the amount of retrievable data. The new applications in smartphones now allow home searchers finger-tip access to more information. This instantaneous feature helps them identify more prospects and, in the process, draw more bargaining leverage as they narrow down their choices. 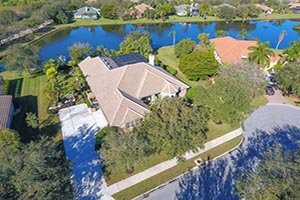 For home sellers, the magic of drone photography converges with the buyers’ increasing use of online search tools and their virtual reality presentations to help speed up sales. The high-resolution cameras mounted on the airborne drones make possible dramatic photography enabling their subject home listings to stand out from competing properties presented via traditional means. Indeed, the marketing pitch that drone photography could deliver can be quite compelling. In addition to gorgeous bird’s-eye view pictures of a home’s exteriors, drones can likewise present dramatic shots of the landscape and vistas around a sales-listed property. What’s even more impressive, these elements could now be married with technology using glide cameras with as many as nine lenses to scan the interior features of a sales-listed residence. 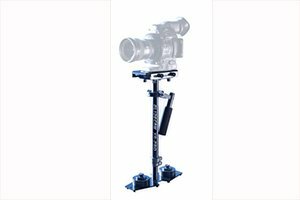 This photographic novelty results in virtual, interactive tours of a property which come out as less expensive and much quicker to produce than before. 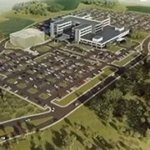 To a great degree, these virtual-reality presentations mimics Google Street View, with the only difference in that the viewing experience is presented within a Sarasota home for sale and in an ultra-high definition format. These recent creations have truly delivered results which are quite dramatic. Some real estate agents who’ve used these tools are convinced that drones and their glidecam cousins constitute the most influential game-changer in real estate marketing since the mass media revolution brought by the Internet.